As you consider your executive career transition, you’re going to find that there are lots of resources available to move it forward. How do you know whom you can trust throughout this process? How do you know who has your best interests at heart? Read on to learn how to identify those who can help you most effectively. You may consider asking your spouse, your friend, or even your parent for advice about your executive career transition. Generally, these individuals in your close circle of trust will have your best interests at heart, but they tend to be among the least objective about what will work for you. Certainly they will know you well and have a good sense of what your strengths and salient characteristics are, but their own self-interest or personal interest in your well-being might interfere with your ability to seek out and obtain a position that satisfies all of your professional requirements. Among those who might offer you a solid career advice are your professional peers or executive leader. However, do know that as much as they have your best interests in mind, they also have agendas. They might be competitive with you or they might ask you to take on more than your fair share. Certainly, as you work your way up through the executive tier in a company, you need to pay attention to the needs and wishes and wants of your colleagues and superiors, but they might not provide the best advice for you if they do not understand your specific aspirations, particularly if they fall outside of your current company. You are certainly among the privileged if you can find and secure a mentor who can stand apart from you and provide you with rock-solid career advice. Finding a mentor can be challenging, but it can be extraordinarily rewarding as well if the mentor truly has a vested interest in your success. The best way to find a mentor, according to leading career experts, is to identify the best-in-class for your industry or role, but not somebody in whose company you wish to work. That in and of itself presents a particular challenge, as you will need to do some serious research to identify that person and then pitch your wish to be his or her protégé. Nevertheless, a good mentor who fulfills the role successfully is an incomparable asset to your career advancement, as he or she can give you an insider’s view to an industry or role while remaining completely objective. If you know a recruiter from having worked with him or her to fill roles in your organization, you might find this person is a tremendous asset to your own executive career transition. The recruiter might be seeking someone just like you, or that person might know somebody who is. To that end, the ability to create a powerful recruiter network can help you advance your own career transition. The pitfalls of working with the recruiter however, are several. First, you have to trust that the recruiter will keep your aspirations and drive to leave a particular company under wraps. Also, know that the value of this relationship flows according to the money. The recruiter doesn’t work for you if you are a job seeker. In fact, the recruiter works for the individual or company who is paying him or her, leaving candidates such as you in the category of “talent” rather than “particular person I want to help.” Thus, you can trust the recruiter to recommend you for positions for which you are eminently qualified and write for, but apart from that, do not expect much in the way of hands-on treatment from a recruiter who has perhaps dozens of roles to fill and hundreds of candidates to review daily. A career coach is a professional dedicated to the career transition success of others. This career coach works directly for the executive and delivers world-class advice, coaching, and sometimes explicit consultation to individuals requiring a partner in the executive career transition process. Often, the career coach and resume writer has credentials from national or international career management organizations that validate his or her training in the field, and he or she also might have won some major global awards in the field. Executive career coaches and executive resume writers report on the exponential success their clients achieve with the type of support they offer, but you need to decide if, as an executive on the cusp of career transition, you are ready to put in the work required to make your own career announcement a successful one. You are welcome to contact me if you would like to know more about the type of work required to make an executive career transition into a successful endeavor. Primarily, it involves a willingness to reach out to new people, except a great deal of direction, and a drive to be the best in your position and your field. Are you ready to make that choice? SALT LAKE CITY, UTAH (February 25, 2013). Five Strengths Career Transition Experts, Salt Lake City, UT, is proud to announce that Amy L. Adler, CEO, published Easy Job Search Strategies for Resumes and Cover Letters on Amazon.com in Kindle format. 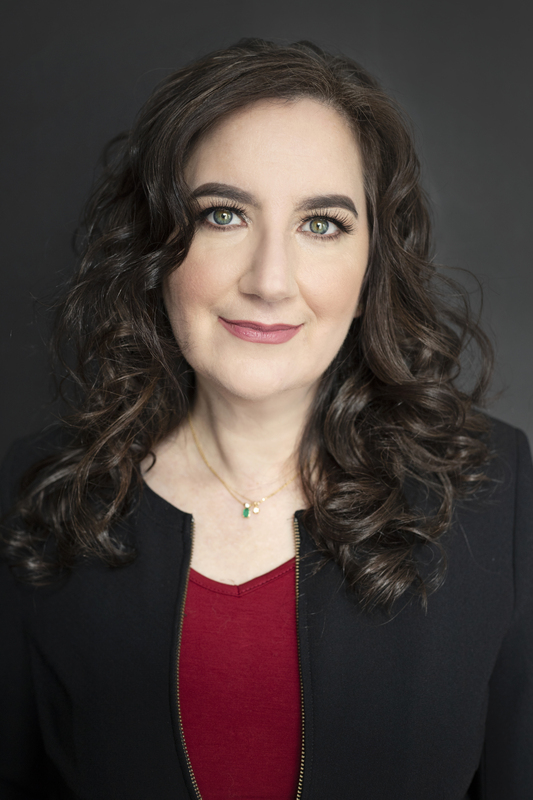 Amy L. Adler, first-place winner of the Toast of the Resume Industry (TORI) Award for Best Executive Resume, announced today that she has published Easy Job Search Strategies for Resumes and Cover Letters. This concise, inexpensive, and accessible e-book contains Adler’s top-secret techniques for determining your next job and writing the resume that gets you there. This new e-book promotes the best career transition strategies and the most powerful resume writing techniques available. Bloggers: Ask for a free review copy. Amy L. Adler, MBA, MA, CARW is the founder and CEO of Five Strengths Career Transition Experts, headquartered in Salt Lake City, Utah. She won first place in the TORI Awards 2012 for Best Executive Resume. Amy is one of the most experienced career transitions experts in the nation and frequently writes and speaks on career advancement, executive résumé writing and interview strategies. Having written hundreds of job search documents, several examples of her work have been published in Gallery of Best Cover Letters, 4th Ed. (David F. Noble, JIST Publishing, 2012). Your professional resume is all about you, right? Therefore, your objective is all about you, too. However, you’re sending your professional resume to a hiring manager—you’re not reading it to yourself in the echo chamber. And guess who the hiring manager wants to think most about? Himself (or herself). Not you. Here’s my answer: Including an Objective Statement: The Resume Killer. When I see the word “responsible” on a resume, I often chuckle to myself that this has to be a copy-and-paste from an HR job description. Human Resources always wants employees to be “responsible” for some task or solution. However, we never know if the job applicant’s resume indicates that the job seeker was merely responsible for something. Did that professional actually do something? Or was that person simply “responsible” for it, never getting around to achieving it. Sometimes, I see executive resumes, or even resumes of experienced professionals, that include decades-old college education in the first line or two of the resume. Clearly, these job seekers must not think much of their professional experience or executive leadership. Why else would they focus on what most hiring leaders would consider a given? When your Salt Lake City professional resume promotes your high school education, you’re wasting valuable space on your resume. If you have at least one job after high school, any college education at all, or some post-high school technical training, your hiring manager is assuming that you have attended high school. What if you didn’t graduate high school? I’ve written executive resumes in Salt Lake City for senior vice presidents who did not finish high school, or who have obtained their GEDs. Your chances of success aren’t limited by your lack of education—in some cases, going straight to work shows an incredible work ethic. Either way, we don’t need to know about your high school education. Ever try to read the fine print on a 30-second TV commercial? It’s impossible, because the advertiser typically does not want you to read the fine print. So why would you send a resume in to a hiring manager in 8-point type? 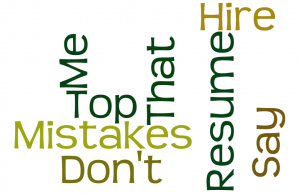 Other common blunders include using resume bullet points that are really paragraphs, and paragraphs that should be broken into three paragraphs. Once, as a child, I wrote my grandmother a letter. In childish handwriting, I scrawled red letters across pink paper. She immediately called me and told me never to use red ink on pink paper, because it was completely unreadable. The same holds true for your professional resume: Do not use red ink (or blue ink, or brown ink, or yellow ink), and do not use pink paper (or blue paper, or green paper). Stick to basic black ink and basic white, cream, or gray paper. https://www.fivestrengths.com/wordpress/wp-content/uploads/2016/04/Five-Strengths-Logo.png 0 0 Amy L. Adler https://www.fivestrengths.com/wordpress/wp-content/uploads/2016/04/Five-Strengths-Logo.png Amy L. Adler2012-07-17 13:29:342012-07-17 13:29:34Top 5 Resume Mistakes That Say "Don't Hire Me"
Authentically about your specific career history and your personal brand. 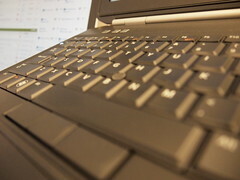 There are hundreds of articles on resume personal branding. There are perhaps thousands of articles on resume accomplishment statements. However, strictly speaking, using accomplishments in your bullets alone won’t convert your history into your unique branding, or make your career history into the best resume it can be. You could research resume examples written for anonymous other members of your industry (or look at a friend’s) and copy the bullets word for word. You could also use resume writing systems that you buy on the Internet, which are simply lists of bullets that you can use in your resume. And there are the professional resume writers that won’t even talk to you before embarking on the tricky process of writing a resume that best suits your job search. These seemingly simple systems don’t work. They do not capture the authentic you. If you want to be authentic in your job search and to find the best fit for your specific job search needs, you need to think about your resume as an organic document that is borne of your particular personal history. Even if you worked in a factory, or even ran one, you are not a factory yourself. 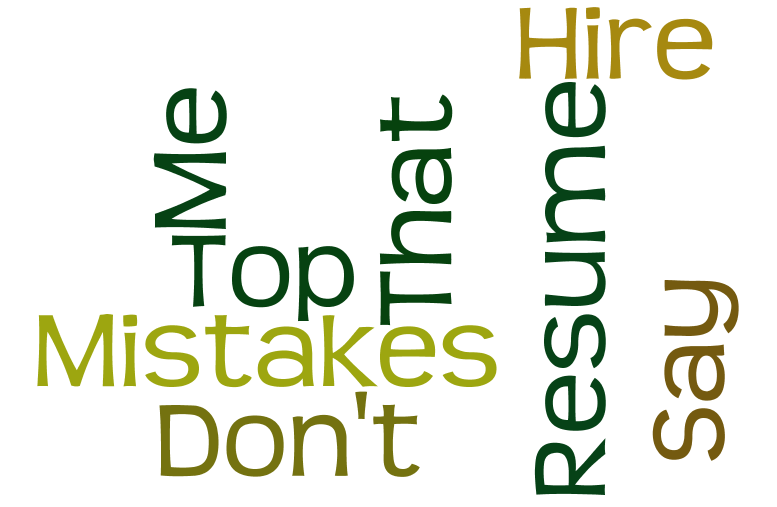 There’s no such thing as data-in, data-out in a resume writing process that gets you interviews. It’s much more thoughtful and careful than that. The following are the minimum steps I follow to write the best resume that fits your specific job search needs. I learn about what makes you special. I learn about what makes you unique. I ask you about every aspect of your job, in the context of your position, role, and industry. When I start a resume writing project, I start with a blank screen. Yes, this process is tougher than using a resume template, but it’s much more authentic. I start from scratch because I make sure that each client receives 100% unique content that is 100% about his/her specific career history, branding, and personal excellence. If this is the type of personal, one-on-one, targeted resume writing service you need, call me at 801-810-JOBS. I am confident it will produce the best resume for you. Congratulations—you got the interview, and you nailed it. Don’t forget to thank your interviewing committee within 24 hours. You know you’re the right person for the job and you think you gave all the right answers during your interview. You’re pretty sure they’re going to call you back with the job offer. You think you’re done with the interview process, but you’re wrong. You forgot to send each member of the hiring committee a post-interview thank you letter. Your professional resume writing service can help you say “thank you” for your interview–and change the hiring manager’s mind. So does this mean that 5% of the job seeking population has a leg up on the majority of interviewers who simply aren’t playing by the rules? When you acknowledge an interview with a post-interview thank you letter, you have a huge opportunity to accomplish three tasks. You thank the committee, individually, for their time. Until you are hired, you’re simply a liability in terms of the amount of time and effort that it takes to get you on board. You respond to the interview process, emphasizing how you can solve the hiring committee’s pain beginning on your first day at work. You tell the hiring executive that you want the job. Remember, we don’t get what we don’t ask for, so make sure that you are 100% clear about your enthusiasm for the role. If you are not accomplishing these three goals in your post-interview thank you letter, you’re failing to participate in a critical aspect of the interview process. In fact, you might have lost the chance to reiterate your interest in the position or to add to the data you provided in your interview. Make sure you send an individualized, well-conceived, thoughtful thank you letter to every member of your interviewing committee–it’s an investment in time and effort that you will not regret. *Data used with many thanks to Susan Guarneri and her amazing presentation at Career Directors International 2010. Want Your Resume to Be Noticed? Creative, resourceful, and flexible; able to adapt to changing priorities, maintain a positive work attitude and strong work ethic. Expert juggler of multiple projects and achieving on-time completion of various projects, while exceeding expectations. Excellent anticipatory skills; adept at foreseeing unanticipated problems. A clear, concise, and logical communicator; competent at building rapport with clients and colleagues. Please find attached my resume for your further review. A cover letter and resume cannot possibly tell you if I am the right candidate for your position, so I look forward to hearing from you in the future, for a more personable meeting. Thank you for your consideration. Can you imagine my reaction to this type of letter? It certainly beat the type sent by the other half, which hardly referenced the position at all, making the candidate sound like he or she was simply blanketing the universe with resumes (one simply included the words “Thank you.”). The only thing keeping me from sleeping through this letter was its impossibly bad format, which made me want to see how awful it was going to get. I also noticed the terrible grammar and formatting, which certainly did not endear the candidate to me. Of course, my point is that your resume and cover letter should look nothing like the foregoing. It should be engaging, succinct, and address the hiring manager’s needs, not yours. Your professional resume and cover letter writer knows how to select the right language that will make the hiring manager or recruiter want to read your career documentation, so if you don’t feel confident that your skills are in promoting your area of expertise, you might want to consider hiring someone who does this every day.